This is a call for bikers! 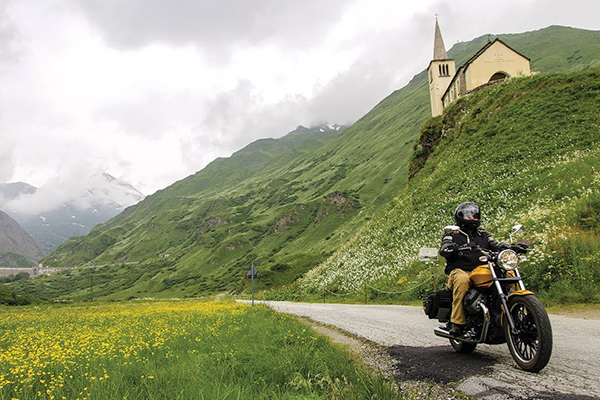 Milan, indeed is located in a strategic position with regards to some of the best itineraries for bikers, enabling them to reach beautiful destinations in a one-day journey. Where® Milan has gathered some of the best locations around Milan to provide lovers of the two wheels with thrilling itineraries conjuring up speed, panoramic ways and different landscapes, from lakeside venues to mountain destinations. Pack your backpack or your travel bag, as the time to start your daily trip has come. No matter what’s your favourite motorbike, be it a sport bike with top performances or a tourist bike, all these itineraries suit all requirements. In both cases, please keep in mind that you have to respect the Italian speed limits (learn more on the box below). The majority of these itineraries will enable you to reach mountain or hill destinations where temperatures may fall up to 10 degrees Celsius (50 degrees faranheit) less than the temperature of your departure from Milan. This means you ought to bring with you rainwear and warm clothing in case the weather may quickly change. Remember to bring a satnav or a smartphone provided with internet connection with you, so that you can set your destination in the maps. If you are staying at one of the Milanese top hotels, ask for a Manet phone. Remember, Italian bikers – but not only – enjoy feeling like a huge community: this means that they are very likely to greet you while in the same street. A simple greeting sign with your fingers in a V shape or one of your feet out of the pedals is sign of respect well appreciated. 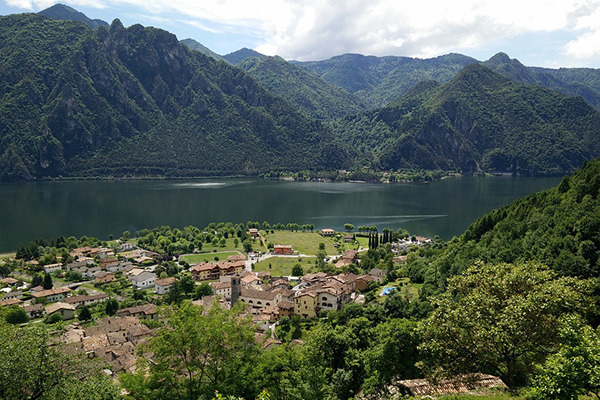 Located between two well-known lakes, Lake Garda and Lake Iseo, Lake Idro can be the ideal choice for those who wish to enjoy a great view and amusing turns all-in-one. Departing from Milan, this itinerary takes around 3.30 hours and features different landscapes, ranging from the city to green valleys and clear blue lake waters. The final destination, the city of Ledro is located in the region of Trentino Alto Adige and is characterised by beautiful mountaneous views. The itinerary features quick, amusing turns suitable both for beginners (not at their first experince on the two wheels though) and expert bikers. However, riders driving on these streets must pay attention in case of rain as the pave becomes particularly slippery. Final destination for the satnav: city of Ledro or Lago di Idro. 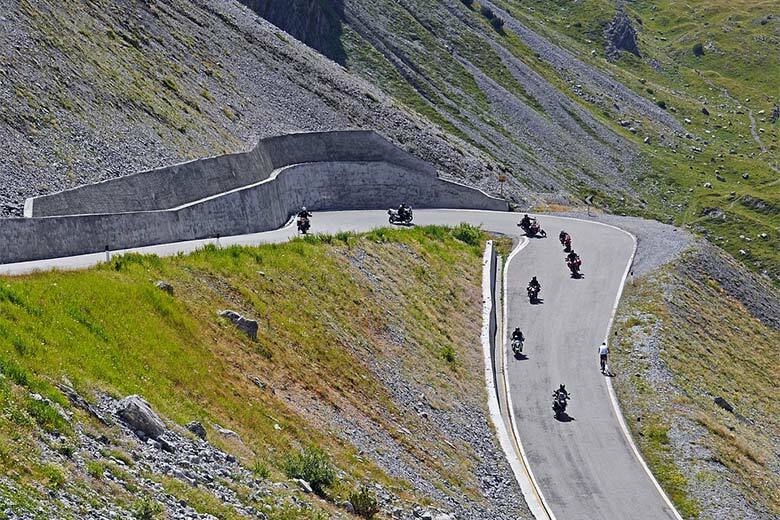 This mountain pass connecting the region of Lombardy with the nearby Austria is a must for bikers visiting Italy at least once in a lifetime. Indeed, its 2,758 metres (9048 feet) over the sea level make the ronowned Passo the highest road in Italy. 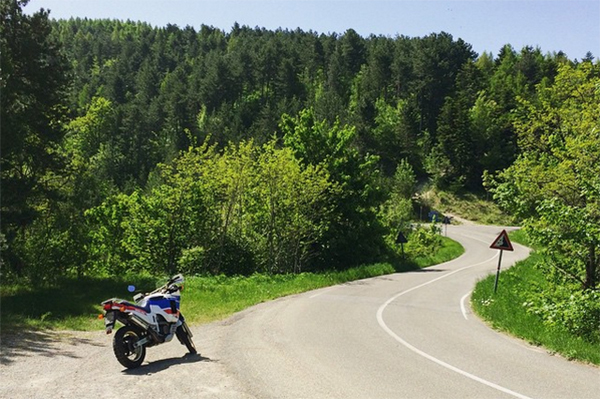 Nikers from all over the world love it for its long, uphill turns which help bikers to easily reach its heights. Beware: cyclists as well enjoy this road, so pay attention when approaching hairpin turns as visibility can be poor. 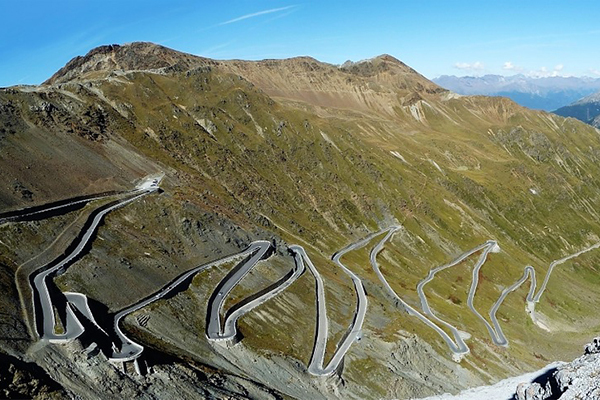 Those willing to enjoy the Passo dello Stelvio, should also keep in mind that, due to its height and weather conditions in fall and winter, the road is closed from October to March. Moreover, riders with little experience or easy to scare are not advised to approach the Stelvio on a grey, rainy day as turns are small and can easily become slippery with only few raindrops. However, after reaching its peak, the feeling will be great, as if standing on top of the world and enjoy possibly one of the best views many bikers have ever seen, with lush green hills an panoramic view. This green valley is spread over the regions of Emilia Romagna and Liguria and is considered a real paradise for bikers. This because it enables riders to conjure up dreamlike landscapes and an enjoyable route, running downriver along the Trebbia river and full of smooth turns, which will set the ideal pace. Moreover, the pave has recently been renewed, which means that nikers are able to enjoy their ride with the utmost of stability. However, remember to pay attention to the speed: you don’t have tutors or speed cameras, but it’s a matter of safety as the roadway is quite narrow. This means bikers and their passengers can spend more time admiring the picturesque landscapes and the reflections of the river. Starting from Milan the itinenary involves the E35 highway towards Piacenza (exit at Piacenza Sud) and then regional roads. Final destination for the satnav: Marsaglia, Losso or Ponte Organasco. For a shorter tour, in case you feel tired: Bobbio. Green valleys, mountains and shiny lake waters are just some of the surroundings you will encounter while heading towards the Cascate del Toce, a long touristic itinerary crossing the regions of Lombardy and Piedmont. Lovers of speed may not particularly appreciate the road as it is more suitable to people in search of a touristic tour with picture-like landscapes. Turns and long straight roads come one after the othre is a pleasant 2.30-hour tour ending atop of a long climb reaching the spring of the famous waterfalls. Stop for a while standing on the small wooden terrace – only suggested to those who are not scared of heights – and admire the beautiful surroundings. The panorama will be worth the journey. From Milan take the E62 highway to Gravellona Toce and then head towards Domodossola and the S33 regional road. Motorways: 130 km/h (80 miles/hour).